Police have released CCTV footage of the moment a man sprayed a corrosive substance in a delivery driver’s face in Bow, east London, while demanding money. 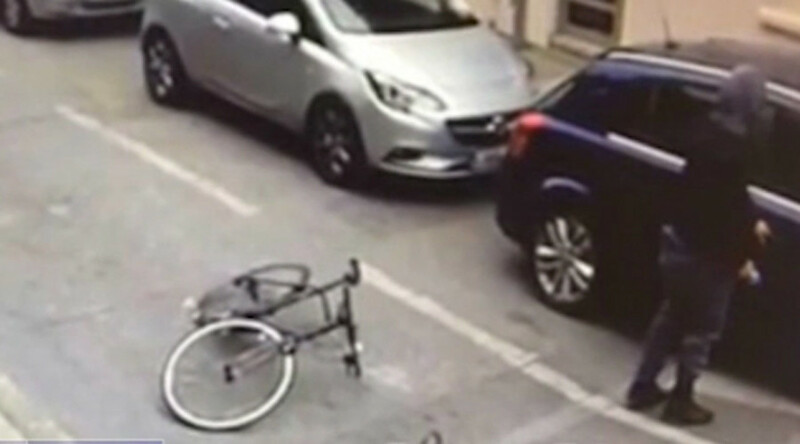 The video from Tuesday shows a hooded man on a bicycle approaching the 21-year-old’s vehicle and throwing an acid-like substance through the open window and onto his face. Police say the victim, a delivery driver of a nearby takeaway, was attacked while he entered details into a sat-nav in his car. When the victim said that he did not have any money, he was squirted in the face with a chemical that smelt of ammonia. The suspect tried to open the locked driver’s door and eventually got in through the passenger’s seat as the victim tried to wipe the substance off his face, police say. The suspect then cycled off as the driver ran into the nearby takeaway and called police. London Ambulance Service attended and took the victim to an east London hospital. He was later discharged and his injuries are not life-changing. Detectives from Tower Hamlets CID are investigating. The suspect is described as a white youth who was wearing a black hooded top, blue jeans, black shoes and a gray/green snood. He was on a black hybrid cycle. 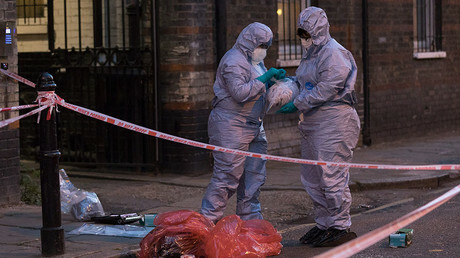 Last month, delivery service Deliveroo said some of its drivers in London were so afraid that they would be targeted in acid attacks that they were turning down work. It comes after suspects were believed to be attempting to injure riders to they could steal their mopeds. In July, two teens riding stolen mopeds attacked five people around London in under 90 minutes. Earlier in the year, 12 people suffered burns and in some cases lost their vision after an attack in a Hackney nightclub. The NHS has issued guidelines on how to help victims after the capital has seen a spike in acid attacks this year.